Marko Remec is a conceptual sculptor living and working in New York City with his wife and two children. Born in 1958, Remec graduated with degrees in Studio Art and Chemistry from Williams College and earned his MBA from Stanford University's Graduate School of Business. A keen observer of the human condition, Remec translates his firsthand experience to conceptual sculpture with wry yet playful wit. 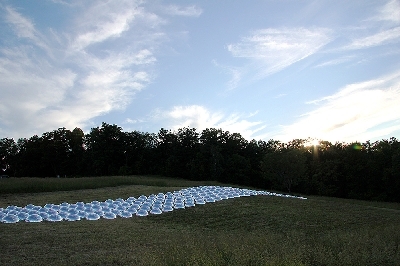 Remec's work has been recently shown at museums and sculpture parks such as MASS MoCA, LongHouse Reserve, Chesterwood - National Trust Historic Site, Museo de Arte de Ponce, the Hudson Valley Center for Contemporary Art, the Nassau County Museum of Art and the Hancock Shaker Village, among other locales. A keen observer of the human condition, Remec translates his firsthand experience to conceptual sculpture with wry yet playful wit.